Nighthawk AC190 WiFi Range Extender EX7000. 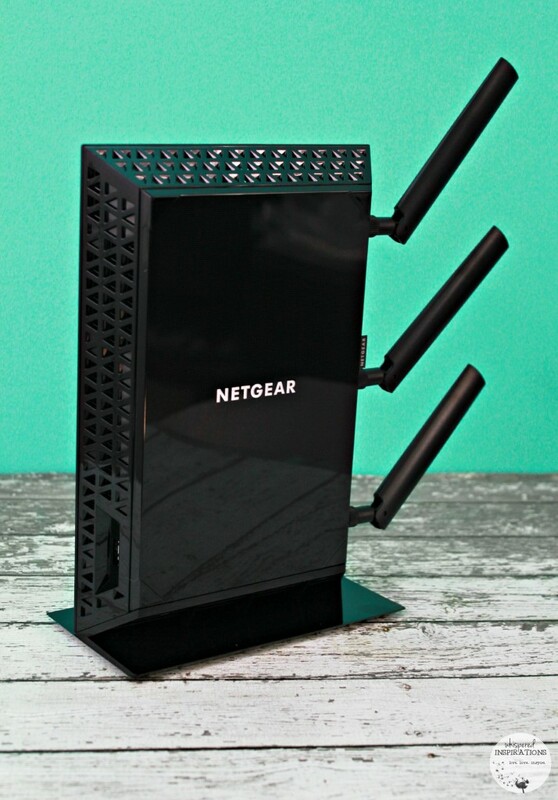 We have an amazing router, the NETGEAR Nighthawk X6 Tri-Band WiFi Router and let me tell you, it is a beast. Since our family is digital, there’s often a lot of usage going on at the same time. That sometimes leads to a lot of people connecting to the same WiFi connection. 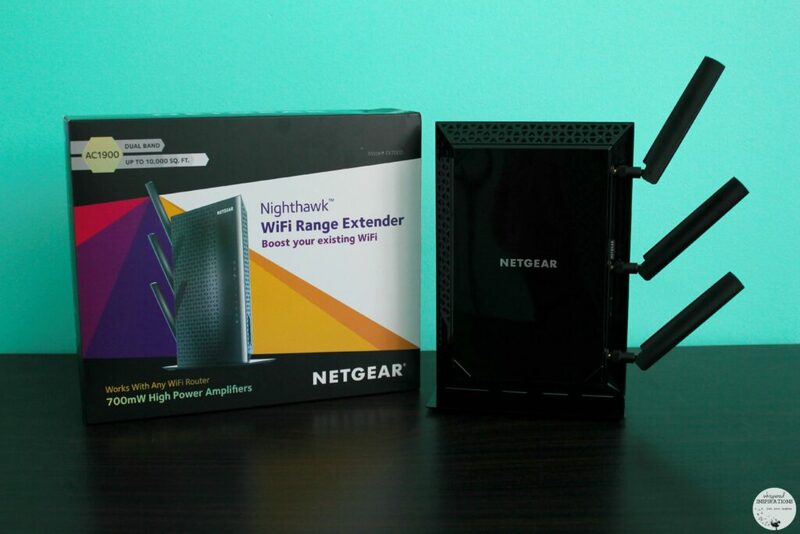 NETGEAR sent me the Nighthawk WiFi Range Extender to improve our overall connection and experience! To say that I was excited is an understatement. I was ready to see how this baby would maximize our WiFi experience in every corner of our house! As soon as it arrived, I opened it up and wanted to get it set-up as quickly as possible. Luckily, it is very easy to set-up and it is as simple as plugging it in and connecting to your router. You add it to your router’s 5 GHz band (not all routers have it) then push the WPS button and the LED lights will tell you if it’s connected. Now all you have to do is choose a location where you think a stronger connection is necessary. Then all you have to do is connect your devices to the extender. You use the new extended network name and your WiFi router password to connect. You’ll be on amazing WiFi in seconds! If it is easier for you, use NETGEAR Genie and it will do the easy setup for you. You can place it on the mount stand or place horizontally without the mount. The antennas can be adjusted accordingly. It supports 802.11ac Wi-Fi, uses a 1GHz Broadcom BCM 4708 dual-core processor and is capable of speeds of up to 1,900Mbps (600Mbps on the 2.4GHz band and 1,300Mbps on the 5GHz band). It has 5 gigabit-Ethernet ports, a Wireless Protected Setup (WPS) button, a Reset button and a Power switch, which you’ll find on the back of its frame. In the front you’ll find a USB 3.0 port and the LED lights. The Nighthawk AC190 WiFi Range Extender is bigger than most plug-in WiFi extenders but, it isn’t without looking gorgeous. Yes, hardware can be gorgeous and this one is. 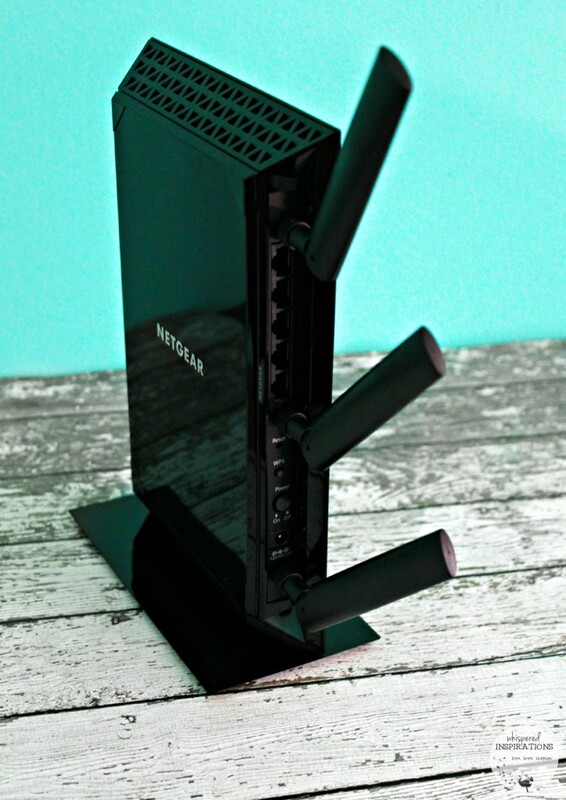 In fact, I love how it closely and very much resembles my Nighthawk router. It’s definitely a beaut that delivers. The Netgear Nighthawk AC1900 Wi-Fi Range Extender (EX7000) has the range performance necessary to provide an incredible and strong wireless coverage to every inch of your home. Whether it is a big or small home, you’re covered. It’s easy to install and has enough wired LAN ports to connect all of your gaming consoles, HDTVs and most of your other tech toys! I love that it has access control scheduling and FastLane technology that let you optimize your bandwidth by directing wireless traffic to a specific band. Most importantly, I am glad that we are able to amp up our mobile connection game and get maximum WiFi coverage throughout our entire house. You can purchase the Netgear Nighthawk Wi-Fi Range Extender AC1900 on Amazon for $165.85. It’s worth every penny since you will be covered no matter how you use your WiFi connection. In our home, I am always connected via my laptop and mobile device and the kids have their tablets and Dara has his mobile and game consoles. There’s nothing like having a dependable connection whenever you need it. I definitely recommend this for any family or home that uses a lot of devices over a wireless network. 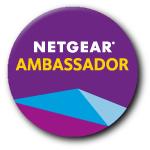 Make sure you to head over to NETGEAR for more information and if you’d like more information on this WiFi Extender, go here. How is your WiFi connection in your home? Previous Post: « NEW Kellogg’s Vector Granola: Fuel Your Summer & Prepare for Back to School Season, Plus Enter to WIN a Prize Pack Too! Wow, that is pretty amazing! This extender covers the whole house but, that is interesting! That is the best. Glad hearing it works for you! I could really use this to get better reception in my bedroom since my router is in the basement. It would make netflix in bed a lot less frustrating! LOL, so true! It really does help! We have something like that in our house. It helps keep the signal stronger which, lets face it we all need it now a days since everything runs on it. I love range extenders, they're a great way to get an awesome signal into every nook and cranny of the house. Netgear is a great brand, too. 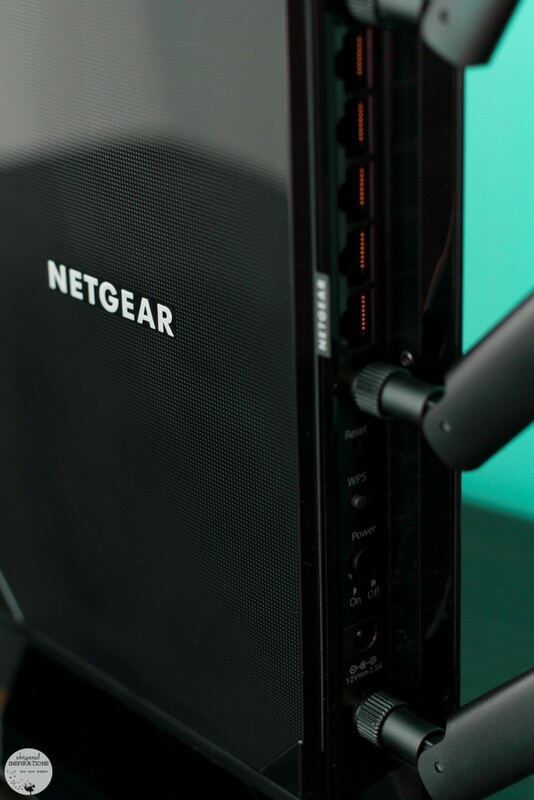 We have a Netgear dual band router, and it's awesome. It is a great way to make more of your connection without upgrading your router. My husband was just saying he wanted a wifi extender for our home. This one looks fabulous and could definitely get the job done! That it does my friend! I actually really need this product about now. My husband was talking about getting one so I am glad to hear this brand works! Yes, NETGEAR is a leader in tech. This one works great! This would be great for us to use in the basement. The wifi isn't the best around here. It's frustrating! Nothing worse than a bad connection, this would def help! I might actually benefit from this. My laptop seems to connect to sites really slow. My kids found out a WiFi extender existed and keep begging for one. Their gaming room is pretty far from our router so they think it would help them to have the WiFi extender. Cool product! It would definitely help, it has ports to connect your consoles. I so need this. I can't even walk into a certain location in my bedroom without having internet trouble. Oh no, this would definitely help you! Considering there's four people using my internet in different rooms, this sounds nice. I might even be able to get a decent connection outside. Yes, I can use it from my back yard, no problem! Sounds like a great product! I may have to get one of these. That sounds like a great router. We could use that in our house for sure. I would love a router that works that well in my house. It sounds like it is really powerful. It really is and that is what you need if you need to have a good connection at all times. This is awesome! I don’t get a very good wifi signal in my basement now, since my office is upstairs. This would be quite useful. We have a big house, and we had to upgrade our router twice before it covered the entire area! A range extender is absolutely essential to live here! Yes, our house is a decent size and we def needed an extender. We use one of these at our house. They are so handy! I think this extender will solve the low wifi signal problem in some parts of our home. I will look more into this. That is great, hope it works for you! That looks awesome. Working from home, I need fast internet and everywhere! This is something I need in my house. Although it is smaller, our signal is really weak. What a great product to have, especially when working from home on weekends if I want to go outside or whatnot! Looks like a great product – my wifi has good connection but extending the reach would be great! I think that is so true! Extending the reach helps a lot. We totally need this in our house. We're all connected in different parts of the house and what we have now is not always efficient!